ON DECEMBER 9, 16-year-old Josh Ritchers received the worst news imaginable. When he went to the hospital for headaches and blurry vision, doctors located a 3cm cancerous tumour in his brain. Just weeks before Christmas, Josh and his family are now facing an uphill battle as he must undergo six months of chemotherapy and radiation treatments in the hope of minimising the size of the tumour. 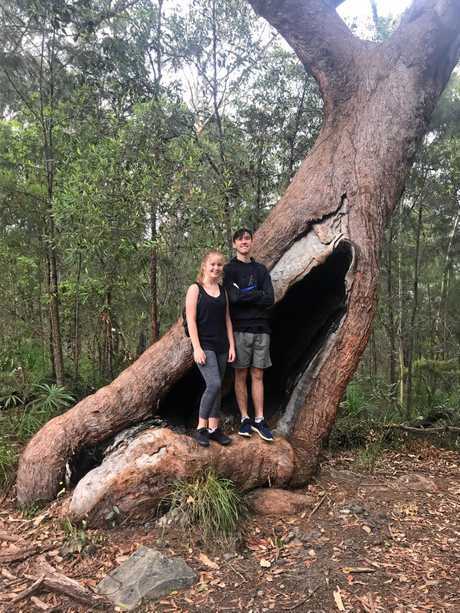 The Gympie boy had told his mother, Cath Delaney, that he thought he needed glasses as he was experiencing blurry vision, however his optometrist couldn't fault his eyesight and the blurry vision continued. It was when Josh would experience short, sharp headaches and some vomiting that his mother decided he needed to see a doctor. It was discovered one of his eyes was unresponsive and a CT scan was conducted right away. Doctors discovered a tumour in a sensitive area of the brain and at this point Josh won't be operated on, instead undergoing chemotherapy. He has just had his second treatment. 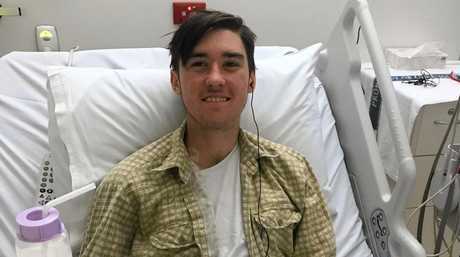 The Gympie High School student was just one week off finishing his Get Set for Work training program and was preparing to sit his test to receive his driver's licence when he found out the news but his mother said this diagnosis wouldn't stop Josh from continuing with the things he loves. "Josh loves his bike, going to the gym, fishing and camping," Ms Delaney said. "Just days before we found out (about the cancer) we went hiking." Ms Delaney said Josh was a "bright, bubbly boy" who was getting through this stage of his life the best he could. "We're just taking one foot in front of the other," she said. "Life is a precious gift that could change in a second." Ms Delaney said the support from the community they had already received had been wonderful and Josh had received lots of messages from his friends while he stayed at Lady Cilento Children's Hospital in Brisbane. If you would like to help the family ease the financial burden that comes with Josh's hospital stays, click here to donate.